The Russo Brothers are on the verge of making their exit from the MCU after Avengers 4, and after that they basically could have written their own ticket. Instead they've chosen to launch their own studio, AGBO, and have already made a number of power moves that will set them up for a few years, including their next directorial effort, a post-Iraq War film titled Cherry. 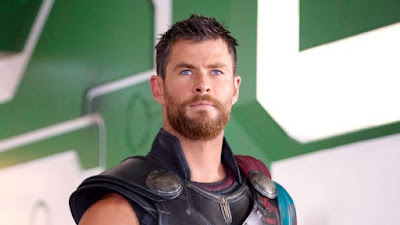 But they also are throwing their weight around as producers, and the next film they'll back is a Netflix film that will reteam them with a familiar face, the mighty Thor himself, Chris Hemsworth. Hemsworth will star in Dhaka, an action film produced by the Russos and directed by someone you may not have heard of, Sam Hargrave. While his name may be unfamiliar, Hargrave has been alongside the Russos' Marvel ventures from the beginning, starting off as Chris Evans' stunt double in Captain America: The Winter Soldier. He then moved over to 'Civil War' as a stunt and fight coordinator, then did second unit directing on Avengers: Infinity War. Movin' up the food chain, right? Joe Russo wrote the Dhaka script, and it follows a good man who must liberate a kidnapped Indian boy being held in Dhaka, but to do it he'll have to get over his personal insecurities and come to grips with his identity.